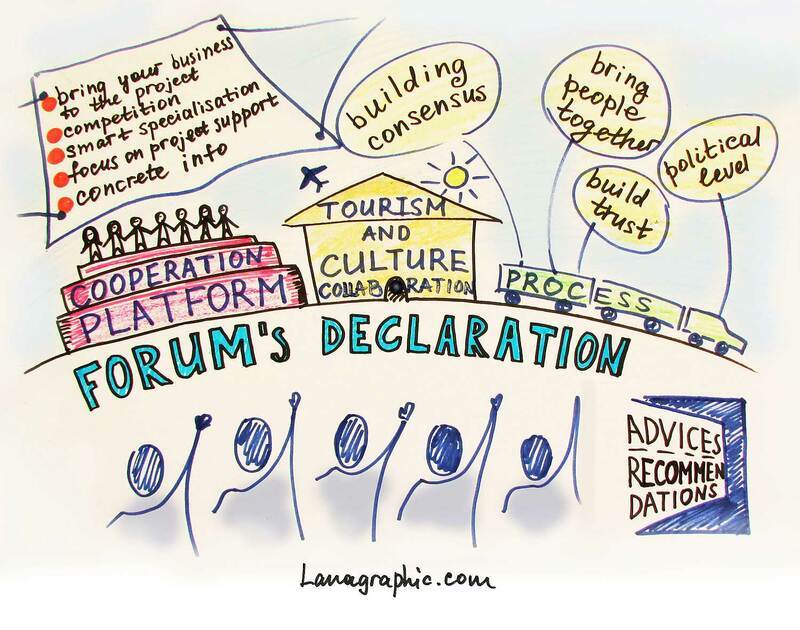 professionals from economics, politics and academics to elaborate more effectiveness through transnational cooperation in the fields of business, innovation and partnership. 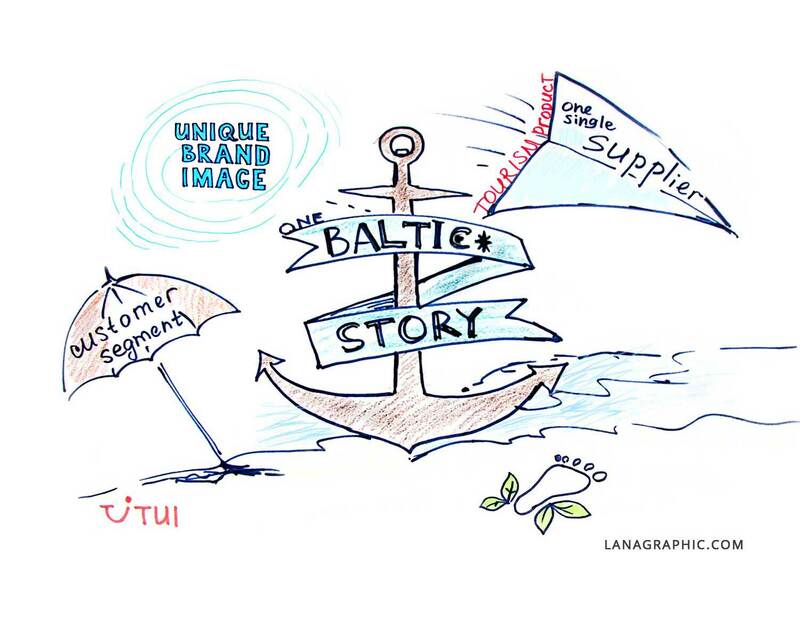 Lana made graphic notes on paper during the conference, that became as visual documentation that participants used in their reports. 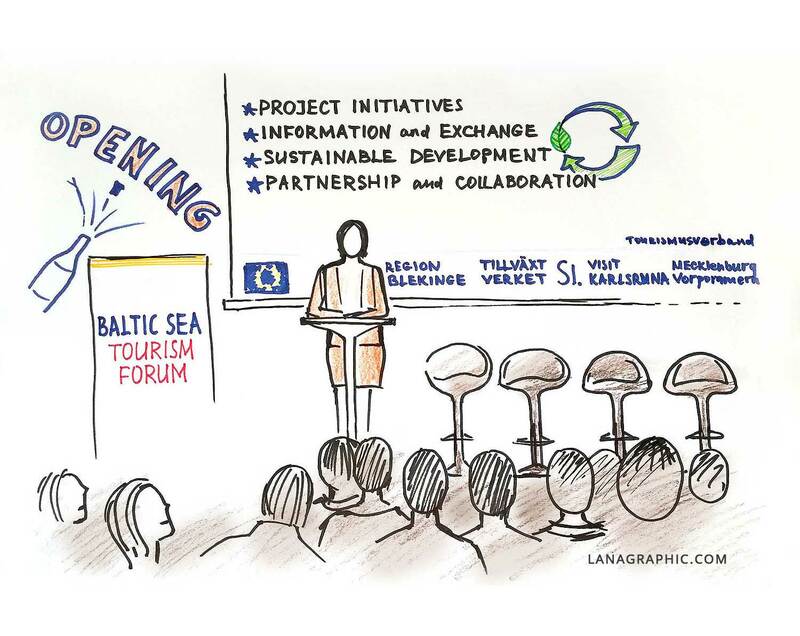 It is hand-drawing illustrations of the live event. 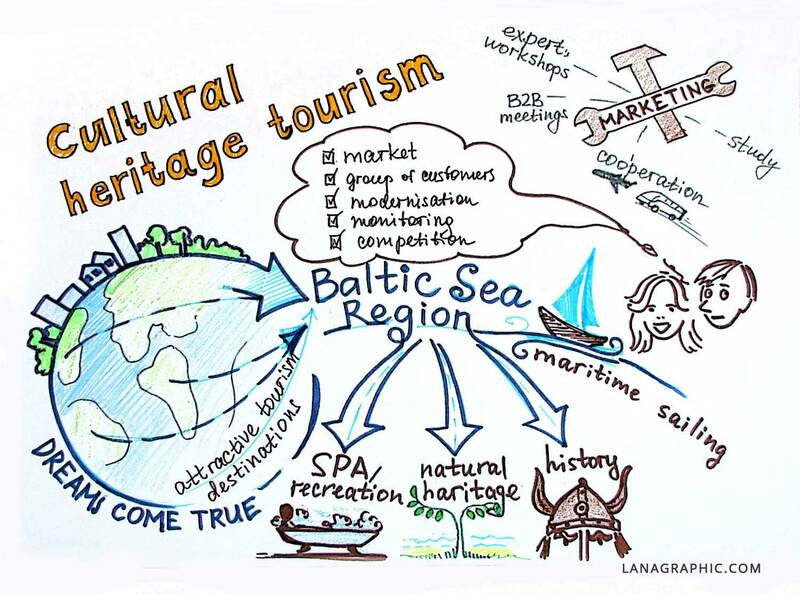 The preparation and organisation of this year’s forum comprised a steering group that consists of the Region Blekinge, the Mecklenburg-Vorpommern Tourist Board, the State Chancellery Mecklenburg-Vorpommern in its role as the coordinator of Priority Area Tourism, accompanied by an international group of like-minded partners. 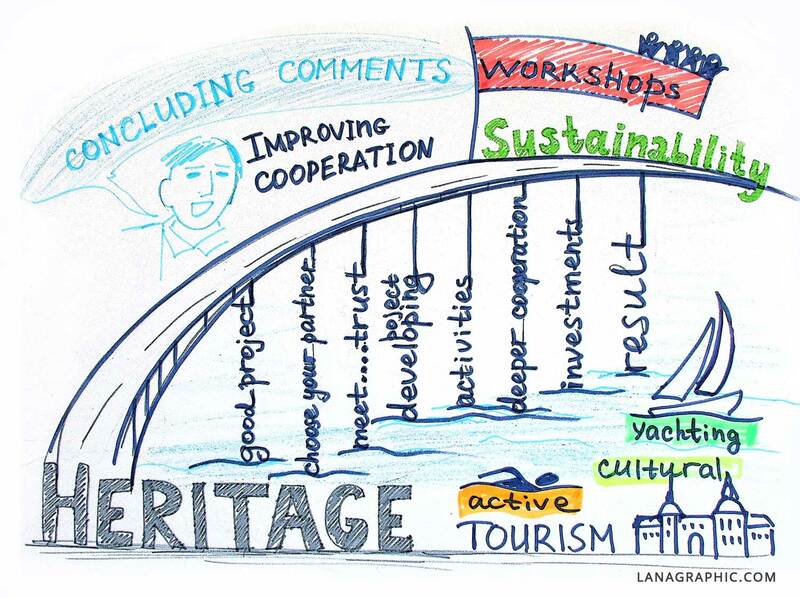 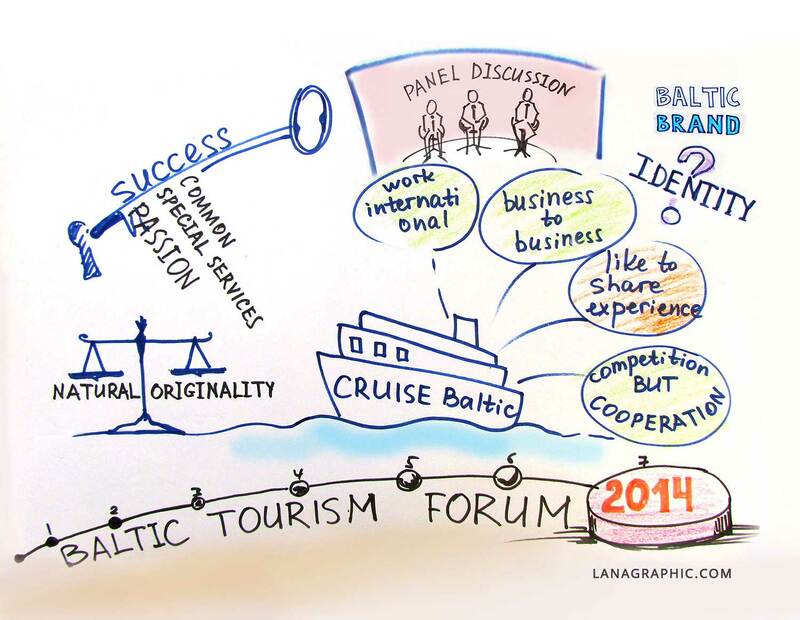 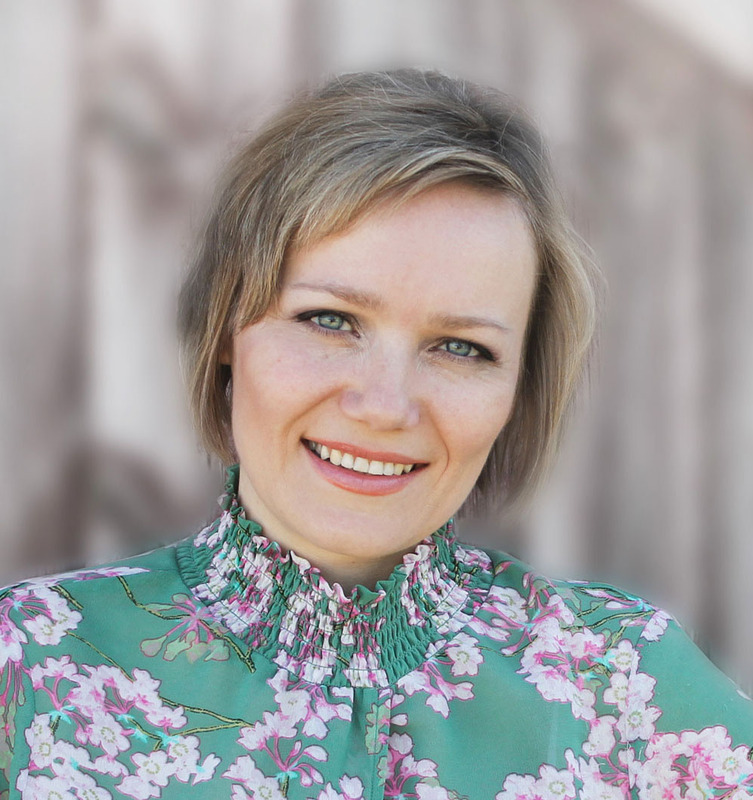 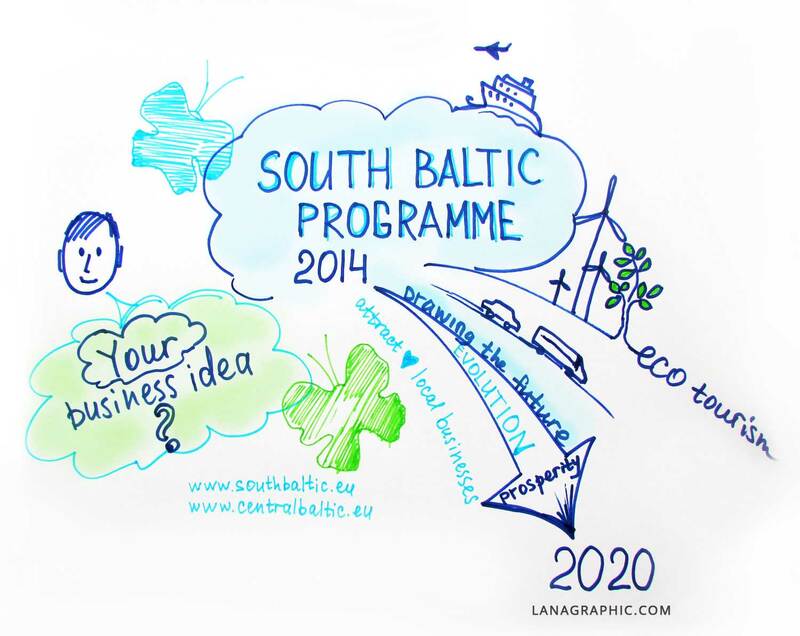 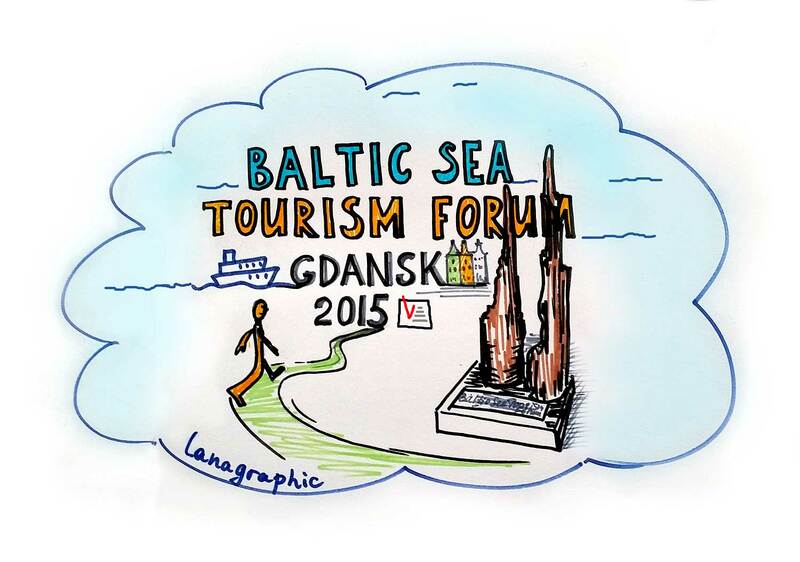 Baltic Sea Tourism Forum website.